A Japanese government panel started discussions Tuesday on how to address repercussions in the Tokyo metropolitan area in the event Mt. Fuji erupts, with falling volcanic ash likely to push the capital into chaos. Mt. Fuji, Japan's tallest peak at 3,776 meters high and lying about 100 kilometers from central Tokyo, is an active volcano with a history of a number of major eruptions. The Central Disaster Management Council will assess the speed and scope in which volcanic ash will fall, and its influence on transport infrastructure and electricity and water supplies, in the case of an eruption at Mt. Fuji, one of Japan's most popular tourist destinations. 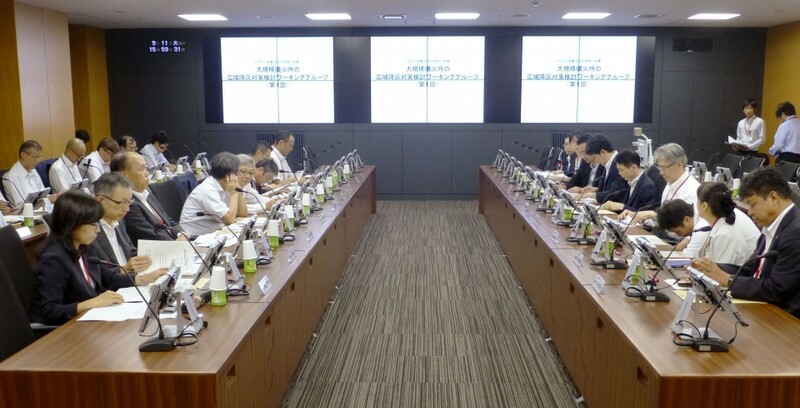 The 14-member working group at the council, led by Toshitsugu Fujii, a professor emeritus at the University of Tokyo, aims to draw up a proposal within a year that will likely be reflected in disaster management plans of local municipalities. The group will assume numerous scenarios, reflecting volume of volcanic ash, wind direction and length of eruption, using reference from the previous eruption of Mt. Fuji dating back to 1707. It will also assess whether a previous estimate made by another government panel that there would be up to 10 centimeters of volcanic ash in Tokyo in the event of an eruption is appropriate. The working group will also discuss steps to discard and store fallen ash from the eruption. According to historical records, Mt. Fuji's eruption in 1707 lasted for 16 days, piling 4 centimeters of volcanic ash near present-day central Tokyo. The mountain has not erupted since then, with no signs of active volcanic activity observed since the 1960s.